If you follow me on Twitter you know how much I love finding new bloggers and following them! Not only do I love reading all your blogs, I love talking to you all too. It's so nice to find a community that are all so lovely and helpful, and I can't thank you all enough for that. Finding my favourite 5 was the hardest thing I've had to write about on my blog so far, as I could write a list for hours about my favourite blogs. So here is my finishes top 5 of January. Holly was the reason I started blogging, and I can't thank her enough for that. 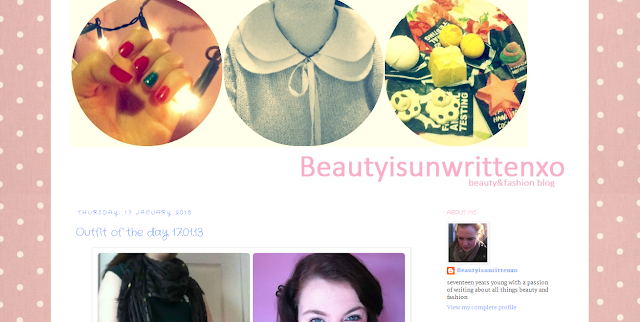 She's a friend of my boyfriends as they met at uni, and I was lucky enough to be able to talk to her about all things beauty, which then led onto me making my blog almost a month ago. Not only has she got some amazing posts, but she has literally reviewed and swatched every product under the sun. I could spend hours reading her blog! If anyone wants a blog to follow or read, this is the one to go to. She's incredibly good at what she does! Marvelle is the gorgeous owner of BlogOfShadows, and boy is she talented. She can do anything! Her make up looks always look stunning. Her most recent one is inspired by Rapunzel, and it looks beautiful! As soon as I saw it I wanted it! She's so talented and her blog is really worth reading. If you like blogs that are all about creativity and inspiration, go and follow this girl. You won't regret it! Not only is Lauren gorgeous, she's so genuine to. She's one of the many people I love taking to on Twitter, and at times of need she's always there to help me. I'm a regular at her blog too, and I love everything she posts about. I love reading what she has to say, and she always gets me inspired to try new things. One of the most lovely bloggers out there - So if you want a great blog that's full of amazing things to read, head on over. She is yet another genuine Beauty Bloggers out there who I love talking too. 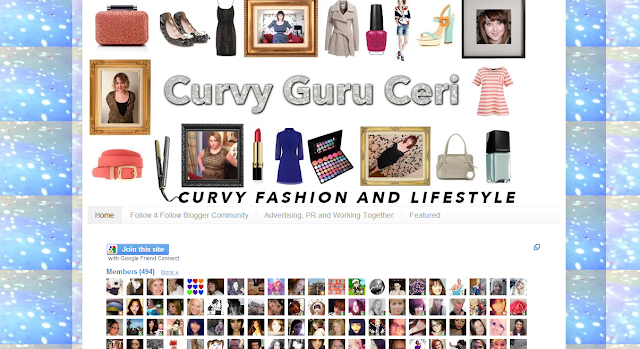 I love reading her blog and entering her give aways, and most of all her videos! Give her a follow on Twitter and her blog and you wont be disappointed. From fashion to lifestyle she has it all covered. She's almost at 500 followers too, so help her out by getting her there! Tara is one of the first bloggers I ever met and followed, and I've been following ever since. I love how simple her blog looks and how current her blog posts are. I love reading what she's wearing! I'm always making sure I'm up to date with this blog, and I love reading anything new she has to offer. She's an up and coming blog to defiantly watch. Over all finding my top 5 wasn't easy. I had so many I wanted to right about, but had to squeeze it down into my top five of January. I can't wait to show you a few more in February as I have loads more to share with you. These blogs are my favourite at the moment, and I hope you take your time to read or follow, they really do deserve it. Thank you for reading! 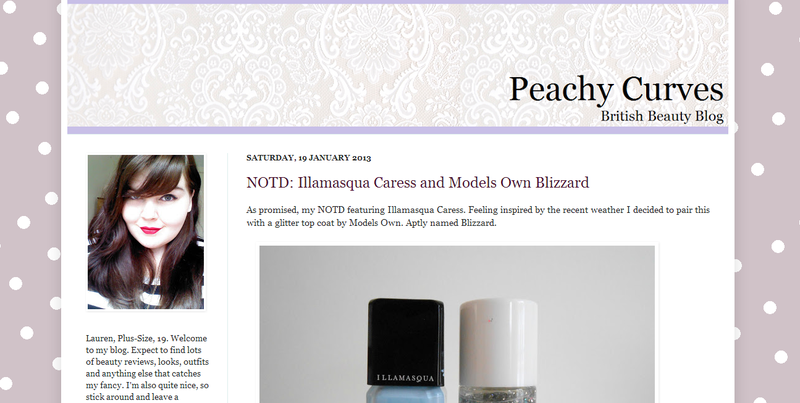 This is such a lovely post, I'm going to check out these blogs! Thank you!! They're all worth checking up on, they're all so good!